Designer wedding dresses featured varying degrees of bold structural details, mainly focused around the waist. Tight bodices with exaggerated skirt ruffles reminiscent of Elizabethan England. These gowns are fit for a Queen. 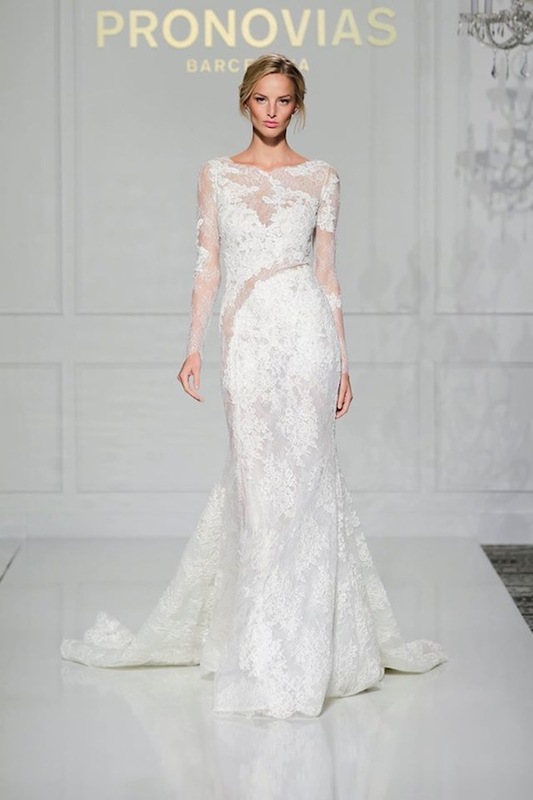 Lace continues to dominant bridal fashion into 2016 with full head to toe coverage key for fashion forward brides. I need these lace trousers in my life! Shake a tail feather! This is my favourite of the Fall 2016 bridal trends, feathers and fringing – preferably both together, is where it’s at. If you’re looking to shimmy down the aisle nothing else will do.